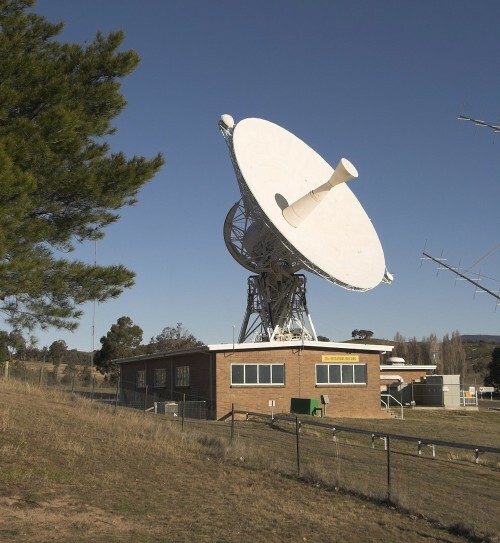 After Honeysuckle Creek Tracking Station closed, the antenna was dismantled and moved to the Canberra Deep Space Communications Complex at Tidbinbilla. The old quadrapod was removed and replaced with a self-supporting subreflector. 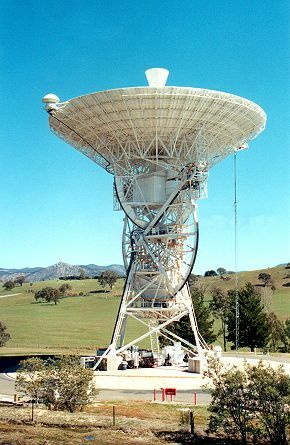 DSS-46 continued to be a useful part of the Deep Space Network, tracking mainly near-Earth spacecraft for many years. 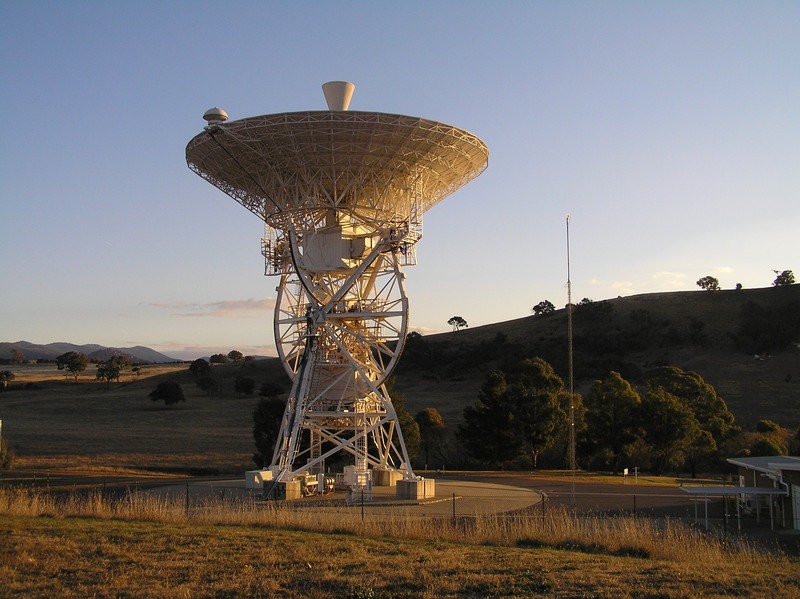 On July 20th 2009, as part of the Apollo 11 40th anniversary celebrations, the antenna was farewelled. Beginning on January 19th 2010, the final shutdown procedure was begun. When complete, the antenna will be preserved in the stowed position (facing upwards) as a historical monument to the all that it – and the men and women who ran it – achieved over forty three years. In addition to the pictures below, there’s a page of photos here. 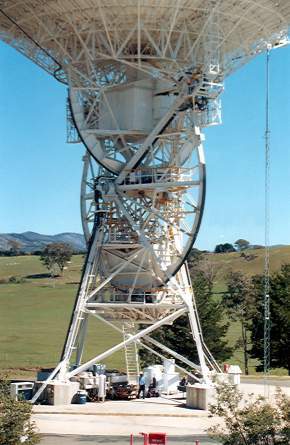 In this view from the access road, the old Honeysuckle antenna (now DSS-46) is in the centre of the picture. The 70m DSS-43 is on the left. 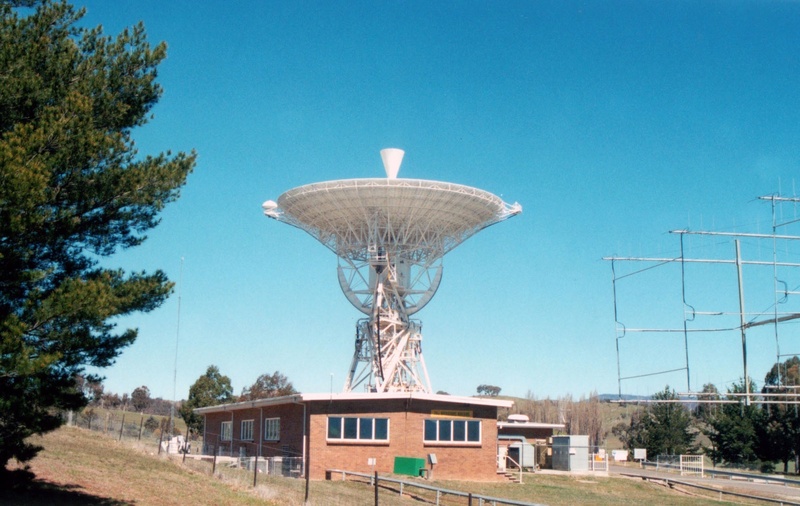 DSS-46 from next to the equipment building, May 2008. Photo: Colin Mackellar. 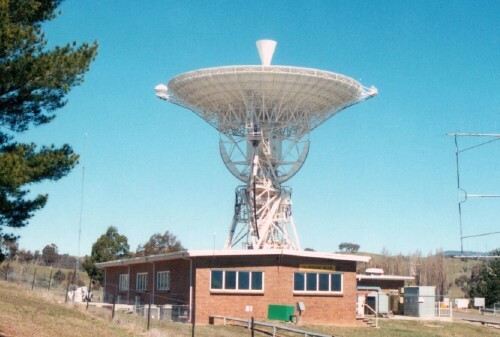 DSS-46 at Tidbinbilla. 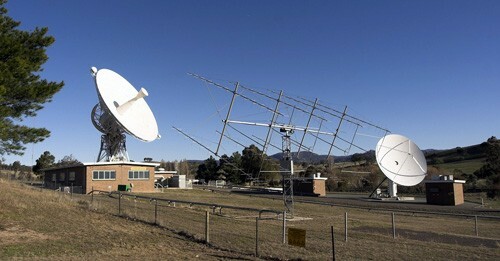 In the foreground is the DSS-46 equipment building. Large, Larger. Photo: Colin Mackellar. The X-Y mount of DSS-46. 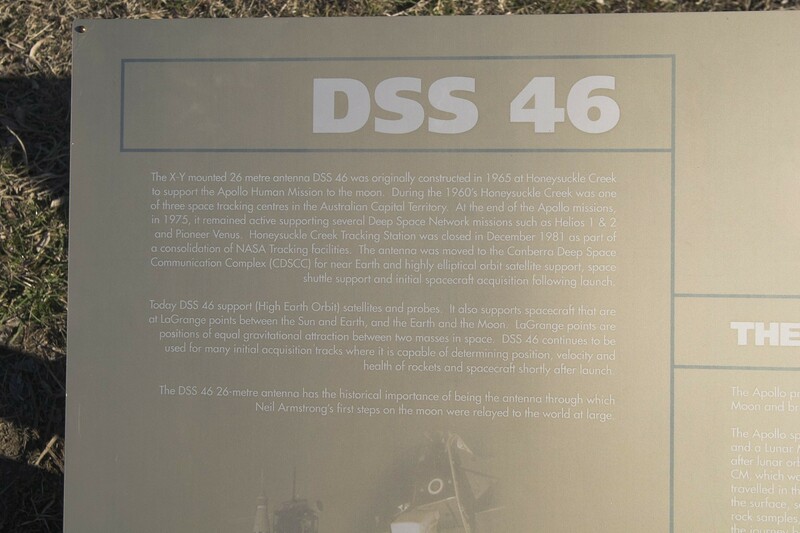 A plaque giving some background on DSS 46. Click for a larger version. With thanks to website reader Eric Fehr for this 2005 photo. 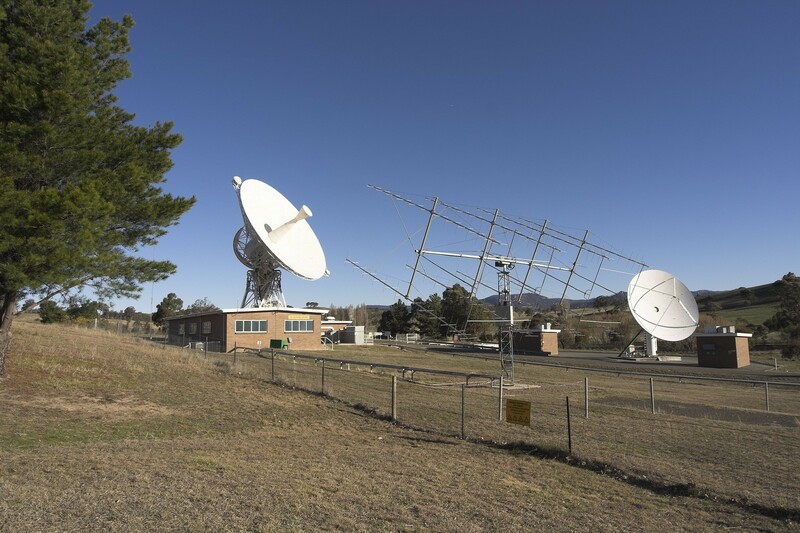 DSS 46 at left, yagi in centre and CTP at right. 2005 photo by website reader Eric Fehr. DSS 46 – 2005 photo by website reader Eric Fehr. 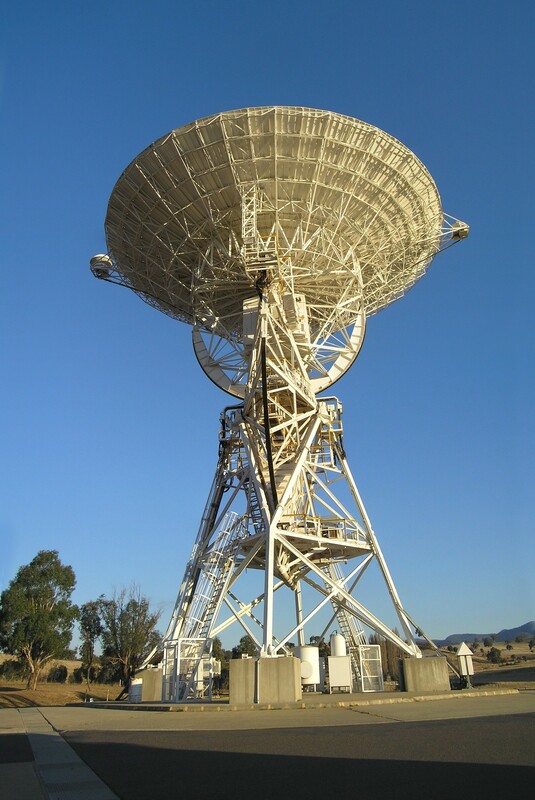 DSS-46 on May 12th 2008. Photo: Colin Mackellar.